When buying a house, villa or an apartment it is very important to be aware of the space and legalities which come along with it. 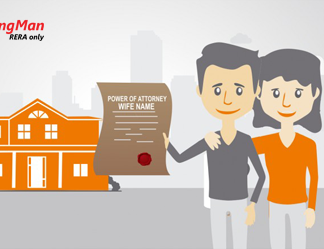 Although a lay man would not be well-versed with all the technical aspects and real estate terms such as difference between Carpet area, Built-up area and Super Built up Area, which come along with the home-buying zone, but to be aware and have sufficient knowledge about it, helps in easing the home-buying process, ease legal hurdles and makes you self-sufficient. When buying a home, although the aspects of titles, certificates, area, neighbourhood, builder and the project itself hold importance, it is also crucial to know the aspects of area, the zone you would be holding yourself to and the how much of square foot area you are in true sense entitled to. A lot of real estate terms and jargons are often misunderstood, and most often not understood at all. Let’s make it simple and help you in understanding what means what, when you come across these real estate related terms when you are looking at properties on HousingMan. Here’s a glossary of few real estate terms you should have an in-depth knowledge about, so you know your area and building specifics. Firstly, let’s understand the difference between Carpet area, Built-up area and Super Built up Area. What is Carpet Area – Like the name itself says, carpet area is precisely that part of your house that can be covered by a carpet. This does not cover the thickness of the inner walls, pillars etc. In an apartment, the common areas, such as lobby, lifts, staircase, play area etc. are not included in the carpet area. 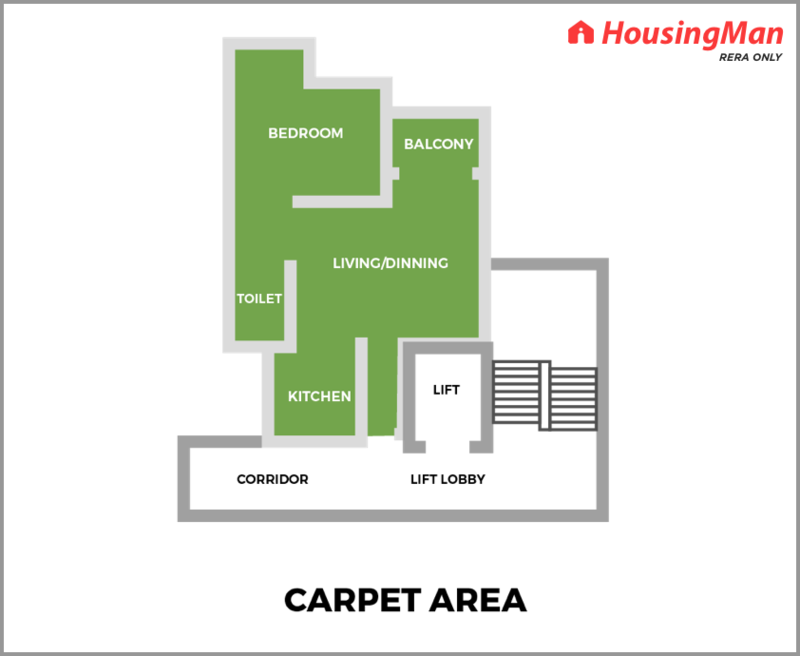 The actual area you get for housing use is the carpet area. This is the space available for your disposal. This will include areas of kitchen, bedroom, living room etc. The carpet area forms about 70% of the built-up area. Carpet area under RERA, mandates all developers of ongoing projects to disclose the size of their apartments, based on carpet area (the actual area of the housing unit). This includes areas like kitchen and toilets. This helps in providing a clear picture to the prospective home-buyer. A clear definition helps in aligning customers’ actual measurements of the apartment. 1. The earlier practice of including balcony, terrace, verandah, empty spaces and garden areas within a flat will be discontinued. 2. Good design and efficiency will become essential and foremost requirement. An inefficient design using too much of common space but different carpet areas, could have the same super built-up area, so clarity with efficiency will become utmost important. 3. Exact specifications of corner apartments placed at beneficial or unbeneficial positions, may have differences in carpet area measurements. While apartments at great positions and floors, with larger carpet area may be charged at a premium, the corner ones, which may lose some carpet area were never sold at a discounted price. As, this “missing” carpet area was unclear in the super built-up area. This kind of transparency will help buyers know, what they are getting into. 2. 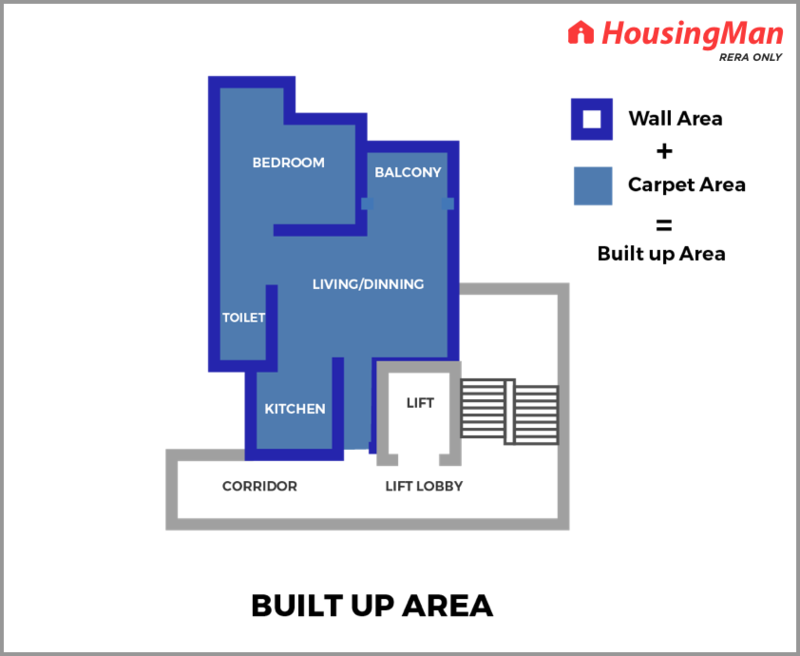 What is Built-up area – This includes the entire carpet area plus the walls/pillars. This does not mean the surface area, but the thickness of the inner walls within a unit. Most of the times, 20% of such built-up area constitutes the walls. Other inclusions in the built-up area include a dry balcony, flower beds, etc. This includes 10% of the built-up area. For example – If the built-up area is 1000 square feet, 30% is built-up area, and the actual usable area is 70%. This means 700 square feet is usable area and 300 square feet is not really usable. 3. 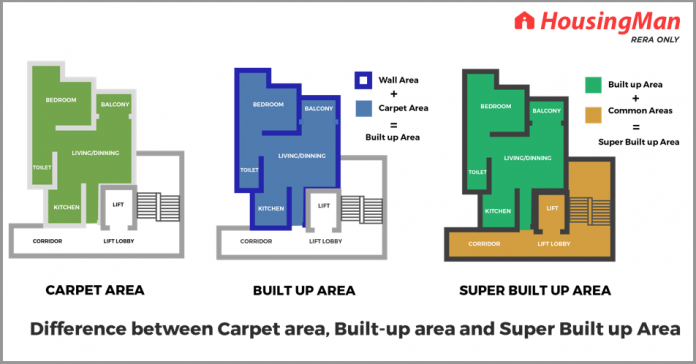 What is Super Built-up area – This area includes the actual area measurement specified by the builder. It includes all common areas such as, corridors, lobbies, lifts, etc. In a few cases, even amenities such as club-house, pool, garden area, children’s play area is included in super built-up area. 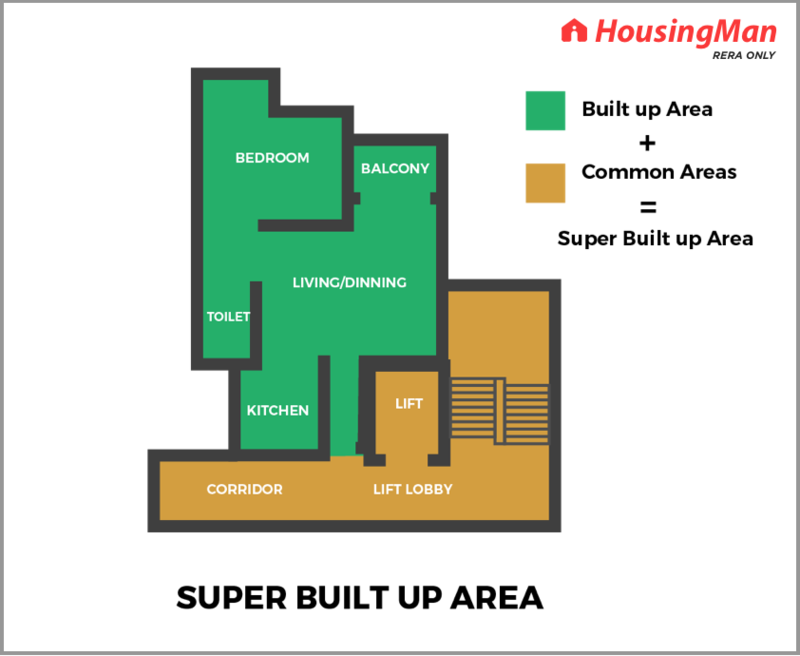 Another thing to note is, the super built up area is specific to apartment square feet, which means if there are 2 different variants within the same project, differing in range, a 2 BHK and 3 BHK with differing square feet; it will be calculated on each apartment’s square feet. Most often, carpet area is the actual usable area for the home-owner and the true housing unit. 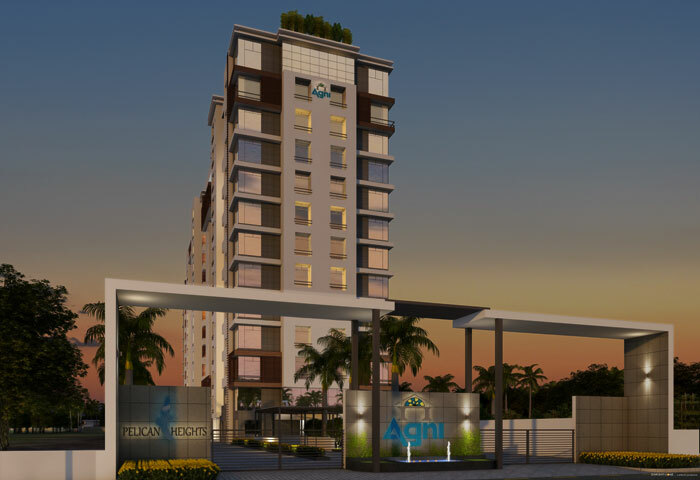 While most builders, provide the super built up area, to come up with the base cost, so if more the amenities, higher the super built-up area. Although, a lot of these terms may seem confusing, initially. Once you read and get to know them, it would greatly help you in making an informed decision. 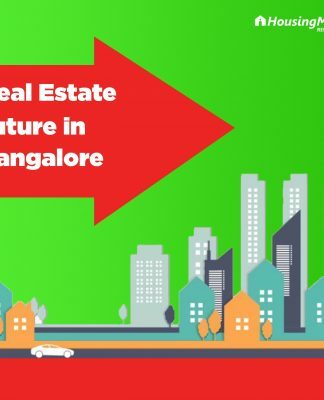 Being aware of these basic real estate terms helps in making a good research about your own property, without relying too much on outsiders help. Accurate information about a project, it’s dimensions, layout and plot size empowers the buyer to make an informed decision. 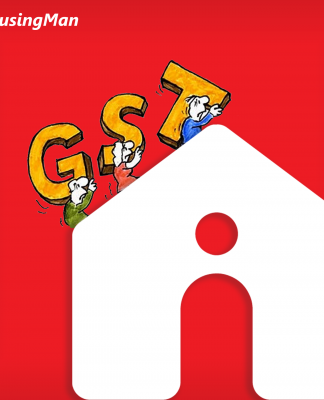 It helps them understand their tax liability, payments cost-structure and future liabilities of the property. 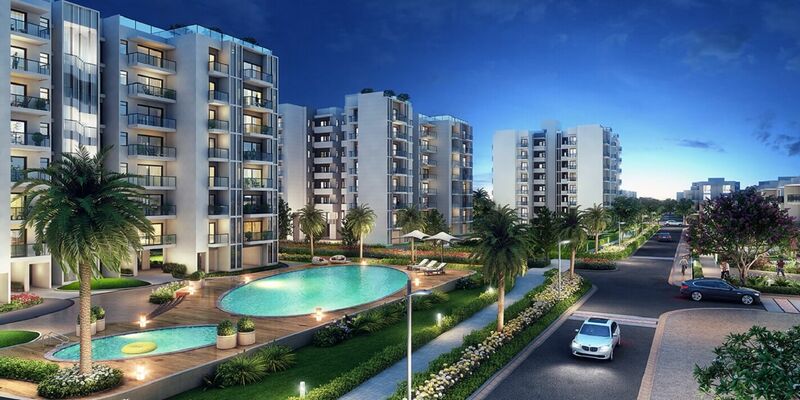 A lot of increased awareness among buyers is essential from all groups of property sellers – be it agents, brokers, bankers or developers and this is one of HousingMan’s greater vision. Next articleBuying or selling home? Better check your calendar! Benefits of buying a property in the wife’s name! 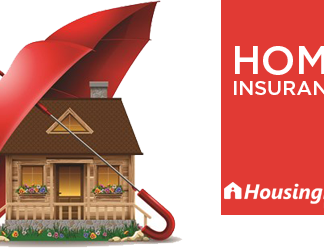 Home Insurance – All you should know.